Depending on the type of energy conversion, there are various approaches to achieving these goals. 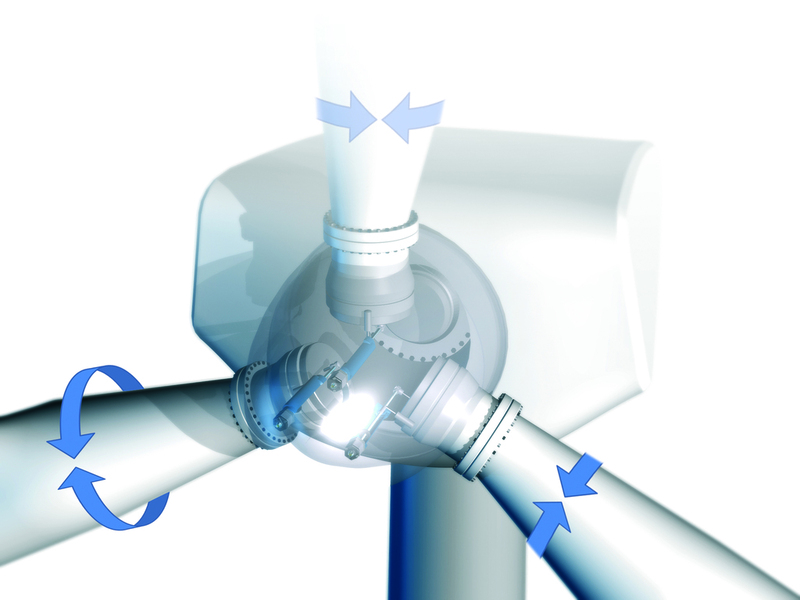 Examples of effective measures include weight reduction in wind power systems through alternative materials, a gearless drive train, quick-starting gas turbines, exact regulation of the guide vanes in hydroelectric power plants, highly accurate regulated actuating drives for valves, flaps and sliders. Many of these measures to improve efficiency and safety make the implementation of intelligent, reliable sensors and precision distance measurement technology necessary. Magnetostrictive position measuring systems are used, for example, in hydraulically actuated pitch adjustment units for wind power plants. 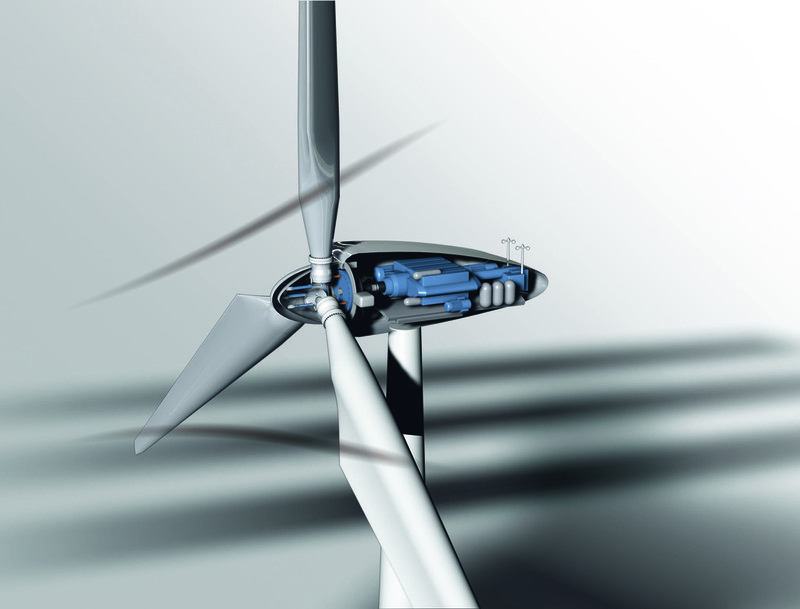 With a quick-reacting and exact adjustment of the setting angle of the rotor blades, they help not only to increase the energy efficiency and safety of the wind power plant, but also to guarantee an optimal and stable operating state for a wind power plant, regardless of what prevailing wind conditions. These position measuring systems have to be extremely robust, vibration and shock-resistant, and insensitive to temperature changes and moisture. All of these requirements are fulfiled by the Balluff micropulse position measuring systems. Integrated in the cylinder, they measure the current pitch setting continuously to exact µm in millisecond-cycles. This extremely accurate and reliable detection is an indispensable prerequisite to be able to turn the rotor blades quickly into a safe position in an emergency, for example. In order to increase efficiency, extend maintenance intervals and lower downtimes, gear-free systems operating without contact are a must. Added to that is a new pragmatic approach with systems designed to be redundant, which is easy to realise in position measuring systems with identically sized flanges. And even existing systems can be straightforwardly retrofitted. For this, Balluff offers robust micropulse transducers with 2 or even 3 times redundancy. Micropulse position measuring systems are based on tried-and-tested magnetostrictive position measuring technology. Working absolutely without contact, they are completely wear-free and suitable for reliable, highly accurate and dynamic measurement of linear axis positions or integration in the hydraulic cylinder for exact determination of the piston position. Thanks to their hermetically sealed housing, they achieve IP 67/IP 68. Characteristic data are rated measuring lengths up to 7600mm and a resolution of 1µm. Interfaces include analogue voltage and current interfaces, digital start/stop interfaces, and all common fieldbus and Ethernet systems. Plug and cable variants are available. The centerpiece of every magnetostrictive travel sensor is the magnetostrictive sensor element, which is called the wave guide. This wave guide is no more than a small metallic pipe made of magnetostrictive material - usually, a nickel/iron alloy - in which a copper wire is threaded. A short pulse of electricity is sent to it for the measurement procedure. It induces a circular magnetic field that is bundled with the weak magnetic properties of the wave guide. A permanent magnet attached directly to the moving component to be measured then serves as a passive position encoder and marks the measuring point without contact and without any energy supply whatsoever. Where both magnetic fields overlap in the right corner, there is a minimal elastic deformation due to magnetostriction. It generates a wave of structure-borne sound that spreads to both sides at a speed of 2850m/s. On one end of the wave guide, the wave is unwanted and is muted away through friction, while on the other end of the wave guide it is changed back into a current pulse by the detector, an induction coil. The electronic evaluation unit determines the position from the runtime of this wave with high accuracy. Constantly changing wind conditions cause abrupt load changes in wind turbines, so much so that the overall system lifetime is affected. An inclination sensor can reduce this stress on the system. It reliably measures the absolute angle of inclination and ensures that limit values are not exceeded. 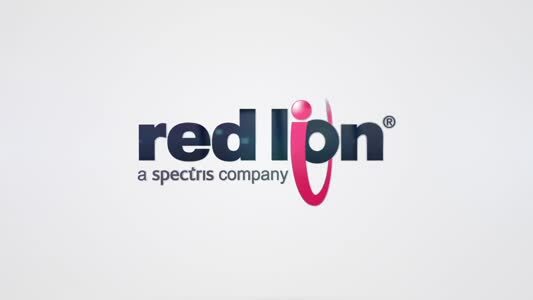 For this application the inclination sensors use a capacitive measuring principle and are equipped with a liquid-based measuring cell. These consist of four capacitors filled with a liquid dielectric. Depending on the inclination of the sensor, the "horizon" of this medium covers the capacitors differently, causing the capacitance – as measure for the inclination angle – to change. The analogue output signal from 4 – 20mA is scaled linearly over the angular range of 360°. 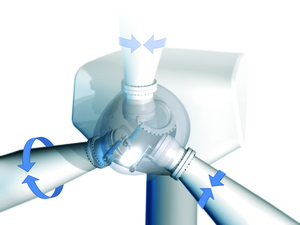 The capacitive measuring system allows for a higher accuracy than simple inclination sensors using the MEMS-Chip and functions in temperatures down to -40°C making it ideal for wind turbine applications. Another typical example for the use of sensors in increasing efficiency is in concentrated solar power thermal power plants. Here, in order to achieve the highest possible degree of performance, the mirrors – also called heliostats – are highly exact, individual and, very importantly, repositioned with repetition accuracy. Aside from that, in an emergency, such as in the event of a storm, they must be brought into a secure position. BML magnetic tape measuring systems from Balluff measure precisely the current azimuth and evaluation position directly on the axes of rotation of the heliostats. With a resolution of 1µm up to 10µm and a system accuracy of up to +/-10 µm, the BML systems are ideally suited for this purpose. And because they work without contact, are completely wear-free and nearly maintenance-free, they are guarantors of optimal energy yield. The distance between the individual heliostats (up to multiple thousands in total) to the combustion point of the combustion chamber, the receiver located on a tower, can be up to 1000m. The individual heliostats follow the course of the sun completely individually, processor-controlled, and continuously. Even the slightest inaccuracy in the positioning and alignment of the heliostats would lead to substantial loss in the system's efficiency. BML magnetic tape systems, which have already been used for years on a number of systems, fulfill not only these stringent requirements for accuracy and reliability, but also those of the extremely inhospitable environments in which they are used. These are usually locations with strong, continuous and stable direct sunlight, such as deserts or steppe-like sites characterised by high and changing temperatures, moisture, condensation, UV radiation and mechanical strain due to sand abrasion. A typical BML measuring system consists of a sensor head and a magnetically coded tape in the form of a ring or a flexible band. The entire electronics system and the sensor elements, which are sensitive to magnetic fields, are integrated into the compact housing of the sensor head. To measure, the sensor head glides at a distance of up to 2 mm over the tape with changing polarity, which is stretched directly over the axes of rotation of the heliostats. The field lines between the north and south poles form a three-dimensional vector field whose cycle corresponds to the two-pole width of the tape. Both magnetic field sensor elements in the sensor head either measure the components of the magnetic field vector in the direction of their sensitivity or the angle of the magnetic vector field relative to the direction of movement. A conclusion on the distance covered can be reached by counting the magnetic cycles.